Have you found an online vendor selling Plantation Gran Anejo Guatemala & Belize? This is the new version of the Plantation Gran Anejo Guatemala available since 2015. Matured in casks for 3 years in Guatemala, and finished in ex-cognac caks in France. Vanilla is very present with almond, marzipan and honey. Well balanced with cocoa, woody vanilla notes. Elegant finish. Sweet, but not sweet to the dessert, spicy, with a soft tart oak, weak in flavor, but the taste compensates. 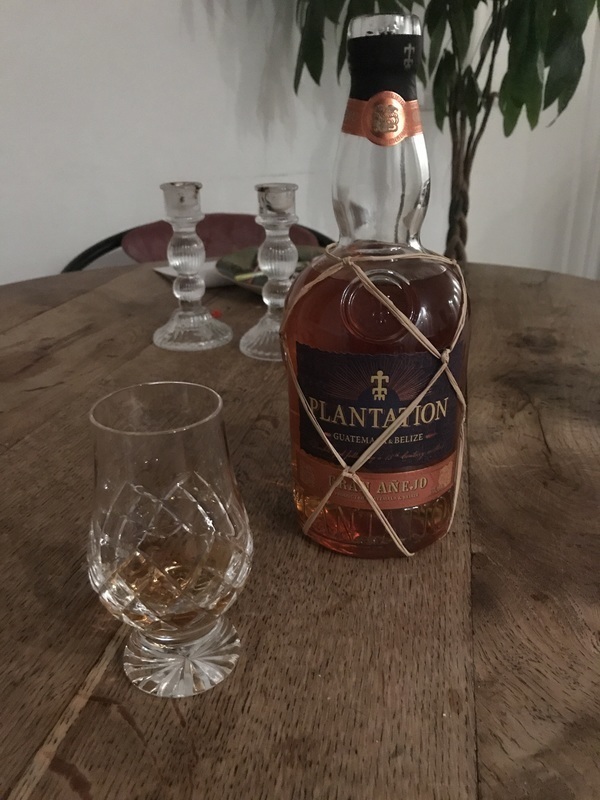 J'en garde un bon souvenir, toujours un cran en dessous d'un Zafra 21 ou du Plantation 20th Anniversary, mais on est dans une gamme de prix beaucoup plus modeste. This rum was not expensive at around £35, which I think is pretty good value for money. The aroma and initial taste is cognac and oak, which makes sense given the way it is made. It is pretty smooth, with no more alcohol burn than many rums with a larger pricetag. There are lovely light caramel notes which segue nicely into a very subtle organic, almost earthy finish, but it doesn't last long. There is sweetness to this rum ... not as much as Diplomatico (is anything? LOL!) but more than an aged Appleton's. For me, the sweetness is perfect for something you can drink a few glasses of. I think I will be looking to get some more of the Plantaion label. Got this as christmas gift. Really loved the taste. And also appreciates that there are no harsh burning in the throat after drinking it. Truly great rum! Good and enjoyable rum. Smooth in it's own way. The one you open on that not so special day. Beautiful aroma, very smooth taste, not burning. Long aftertaste with vanilla tones. Enjoyable partner for long evenings. Stronger from the start with nice aroma, candied fruit touch, cognac oak barrel trace, vanilla bit, ok. Honestly, I expected more from this. There just wasn’t a lot going on, it was kind of flat. I know it’s a blend maybe that’s why, but it tastes young for something with Big Age written on it in such big letters. Plantation Gran Anejo Guatemala & Belize offers a lot of exciting flavors and very clear but sweet flavors like raisins, hardly any burn at the end, but a very long and lingering sweet taste in your mouth. I think this Plantation rum would have been spectacular if it would have been aged a few more years. 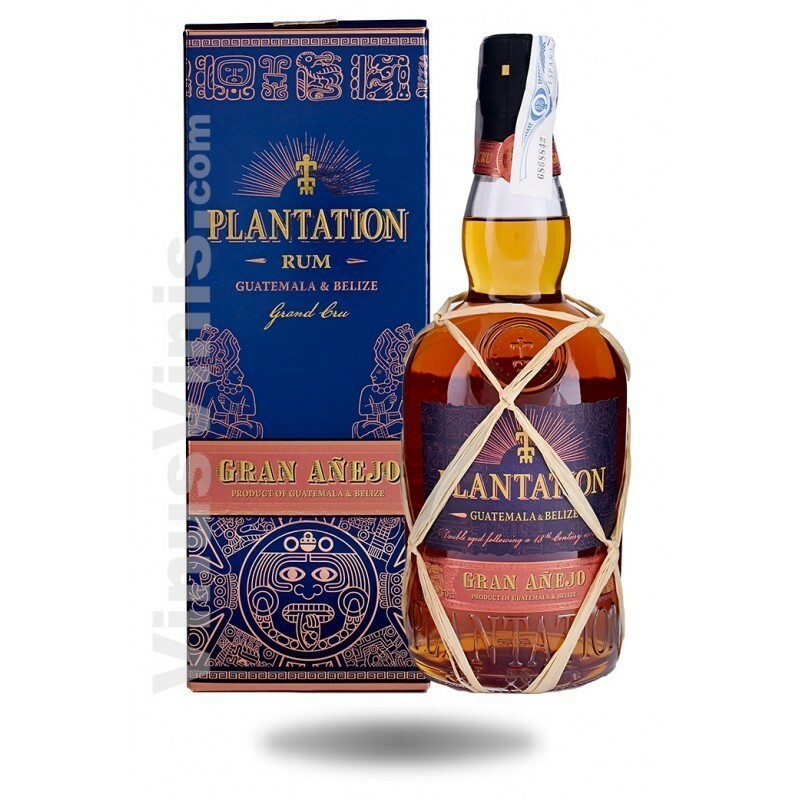 Plantation Gran Anejo Guatemala & Belize is still a very long distance away from the amazing Barbados XO 20th Anniversary rum, but comes as a good second best Plantation rum in my opinion. One of the stronger pices with significant burn during the entire experience. I can not describe the smell as my nose is always getting burnt by the alcohol. Tasted on my vacation in London. Rough alcoholic aroma, quick alcoholic bitter start then going to gentle smoouthness. Beautiful amber/caramel colour in the glass. Has that typical Plantation profile that ONLY becomes especially evident when sampled among other Plantation rums; it is otherwise not so evident to detect. I do detect vanilla on the nose. No question, can be sipped straight. Not yet available at the LCBO, at $40 at the SAQ this is a solid entry in its price range alongside El Dorado 12 (much sweeter) and Appleton Rare Blend 12 (less sweeter). This is a light and sweet rum not overly sweet for me but noticeable. This is a watching Sci-fi on Netflix sipper not a blockbuster sipper. There are fruit and spice notes but overwhelmingly more toffee, caramel and toasty variations thereof. Marks and Spencer have a good selection. This is a lovely sipper. Not quite as good as the el dorado 12 , but close. Love this rum, sweeter with vanilla almond and pineapple notes. Very nice, good vanilla, and nice spicy aftertaste. What a dissapointment, I dont like this rum. Приятно щипит язык. Но не жжот. Приятная сладость. Не приторная но в тоже время она ярко выражена. Ром сбалансированный. Сладость после глотка заканчивается несколько быстрее, несколько дольше остаётся во рту приятное покалывание, на языке. I’ve found a few Plantation Rums have a similar smell (including this one). Light, sweet and something along the lines citrus & pineapple. Light on the pallet to start. Then the spices kick-in and linger for some time. The color is beautiful golden with dark amber reflexes. The scent is filled with vanilla, coconut and soft sweetheart whole oak, coffee, cardamom and liquorice. Round, soft and elegant. Vanilla tones combine delicious with muskot and soft spicy oak.